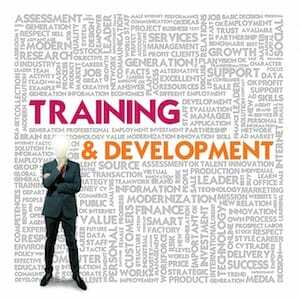 VARs (Value Added Resellers): Most resellers offer training courses for new customers as well as regular events and training session. To get the most out of these it is important to contact your VAR and inquire about the options available. If you are consdiering changing resellers most will also offer a free session or event to show their worth. In some places resellers are even offering discount training programs to unemployed and under employed workers as part of government programs. To locate a nearby resller or Solidworks office check the Solidworks Site (http://www.solidworks.com/sw/SolidWorksOfficeWorldwide.htm). Google/Yahoo/Bing: Solidworks is no different a than any other computer software. If there is a tip, tutorial, solution or problem documented somewhere on the web it can likely be found with the right set of keywords. Keywords may point to the help files (hosted online) or other resources listed here but a few minutes of searching can easily provide the equivalent of hundreds of dollars and hours of training. Youtube: Type in “Solidworks” and any other keyword and watch as HOURS of videos pour out onto the screen. Plenty of users have organized videos into play lists that can easily supplement VAR training. Additionally some of the training sites have released content to youtube videos to help grow business. Video quality ranges from poor screen captures of modeling tasks to high definition professional productions and training sessions. It may take some time to wade through but these videos are some of the most helpful resources for learning ANY software. Blogs: Many power users of Solidworks have dedicated there knowledge to the community, including those listed above, but even more material can be found at the personal blogs of these users. Published authors, Solidworks employees, VAR employees and even casual users all can be found posting information on the CAD world, tips, tricks, tutorials, interviews and exposes on a wide variety of topics. This guide was first established as a series of less comprehensive posts at www.3dEngr.com. To help find these blogs, check the “blogroll” in the sidebar of www.3dEngr.com and continue checking the blogroll of each linked blog.